The Linear PERS offers a two-way voice feature, telephone answering and pendant, monitored by our ULC Monitoring Station. The portable pendant is water-resistant and is available in a wristband or necklace. Apex’s security systems are there for you in any situation. From installation to service to response, and everything in between — we’ve got you covered. 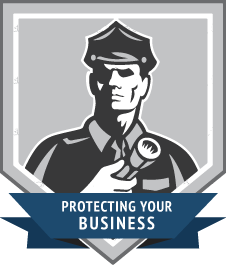 Apex Security has been providing security to Northwestern Ontario businesses since 1977. Apex Security will handle the security needs of your commercial property from start to finish.